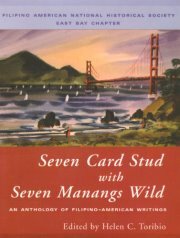 Dear Friends and Family: We are happy to announce that the sequel to 7 Card Stud with 7 Manangs Wild is in progress. While we already have a few submissions, we would like to solicit your help with broadening the range of stories for this project. We would appreciate encouraging your students to submit their stories for consideration. We recognize that Filipinos living in the United States have a vast array of experiences. Our families are comprised of single parents, gay/lesbian or bisexual and transgender; blended families with partners who are not of Filipino heritage; divorced or never married with no children, family members who are T nT (tago ng tago) - undocumented, and families caring for elder parents and/or children with physical or mental challenges. Our experiences encompass all of life's rewards and challenges, good fortune and bad luck, happiness, sorrow, pain and suffering. With your help soliciting stories, the sequel can reflect a broad spectrum of life. Deadline: 12midnight, February 15, 2013. Stories must be received by the deadline. 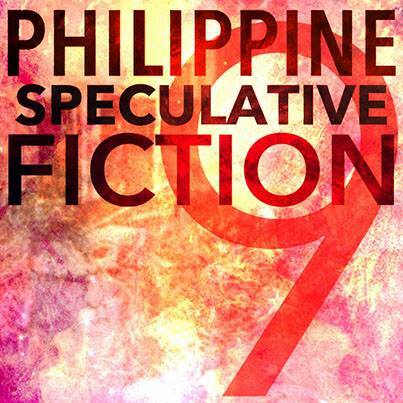 How to Submit Your Short Story: Email stories as a PDF attachment to "sevencardstudwith7manangswild@gmail.com"
Subject line "7 Card Stud with 7 Manangs Wild"
All stories will be reviewed by the editorial board. Writers will be notified via email about the status of their stories. Final selection for the sequel will be based on the overall submissions, as well as each story’s content, resounding theme, uniqueness. How does the modern mermaid exist in our cultures today? Who is she? How does she function and thrive in a contemporary world? What are her concerns; in what escapades does she busy herself with today? Where and who does she find mischief in now? Who are the world’s mermaids now? This collection will see where she lives, in poems, today; however, these poems do not have to completely center on the mermaid but could suggest her, mention her, and, at the very least, bring her into question within the poem. This anthology is seeking quality poems of a truly unique and speculating nature. Poetry of a fantasy genre is not the goal of this project and we ask that you do not submit if that is your particular style. If your poem is selected you will receive a contributor’s copy. Please send a brief bio along with poems. Submit 3-5 poems. Please include your contact information on each poem. Please send your poems to just.the.surface@gmail.com Deadline is February 25th. No two immigrant poets are the same. Even those from the same country don’t necessarily answer to the same poetics or, for that matter, speak to the same concerns. How, then, do immigrant poets in America define themselves? How do they see and position themselves within the landscape of American poetry or the poetic traditions of their own country? Who might they consider their influences? Answers to these questions are complex, individual, and varied, as seen with the essays we hope to include in this anthology. Black Lawrence Press is now accepting submissions for an anthology of essays by immigrant poets in America, celebrating their contributions to the landscape of American poetry. The title, Others Will Enter the Gates, is taken from Walt Whitman's poem, "Crossing Brooklyn Ferry". 4) What it means to be a poet in America. Essays can be creative or academic. However, essays need to be accessible since the anthology is also for a general audience. Abayomi Animashaun, Nigerian émigré and author of The Giving of Pears, will serve as editor. Questions? You may contact him at abayo.animashaun@gmail.com. Submissions will be accepted via Submittable. Deadline for submissions is April 15, 2013. Payment is one contributor copy. Copies of the anthology will be available in both print and electronic formats. Inquiries:california@outpost19.com. We’re eagerly accepting submissions of short fiction/flash fiction, poetry, graphic narrative, photography, and creative nonfiction focusing on the theme of Urban Mythos. Written submissions must be 3,000 words or less and must be unpublished works. The submission deadline is 01.01.13. Via New Pages: Second Voice offers three literary prizes, $1,000, $500, and $250, for fiction by immigrants who write in English but grew up within another language and culture. We are interested in short stories and novel excerpts of 7,000 words or less from established and new writers. Submissions are free and can be posted at tsrpublishing.submittable.com/submit under the anthology link. The anthology is edited by bicultural writer Ursula Hegi, author of Tearing The Silence: On Being German in America and a PEN/Faulkner winner. Martial Law was declared September 21st, 1972 by the Dictator Ferdinand Marcos. Although it was officially lifted in 1981, Martial Law’s impact on the Philippines and Filipinos can still be seen 40 years later. Let us recall and reflect on how this time of horrific repression affected Philippine laws, arts and kultura and helped shape Filipino identity as we know it. KPFA API RADIO SPECIALS Production Team is now accepting “Clean/Radio-friendly” POETRY & MUSIC, Non-profit, Kultural, & Benefit Announcements (PSA’s), and Promotional donations (Event Tix, CD, DVD, Book, & other promo giveaways). Music & Spoken Word can be in any genre or language (with accompanying English translations)and should be submitted in mp3 format (320 kbps stereo or 160 kbps mono) accompanied by track info, artist bios, and contact info submitted. Deadline: MONDAY, OCTOBER 15th, 2012. We welcome folks of all backgrounds and faiths who support our mission & purpose, and who are ready to work collectively & constructively. Free Speech Radio KPFA was the first Listener-sponsored,non-commercial, non-governmental radio station. KPFA API Radio Specials produces annual Asian & Pacific Islander radio specials including “RADYO KALAYAAN” and “THE INDO~PACIFIC EDGE: Touching Africa, Asia, the Islands, & the Great Turtle Island”. Via Elsewhere: We envision Elsewhere to be a space that doesn’t exist anywhere, a space for work that has trouble finding a place. We are interested in creative work that deals with marginalization in some form or another. We don’t think of “race”, “gender”, “class”and “sexuality” as dirty words or as problems to be dealt with outside of literature and art. Rather, we think of them as central to creative activity. To that end, we want stories, poems, nonfiction and artwork that situate themselves firmly in place, which feel compelled to transform in images and plots, in lines and rhymes how histories reside inside a cappuccino cup, cotton and cornfields, roadside diners, built-in shacks, tenements, middle-class bedrooms and parlors. We want stories about communities that are struggling to survive. We want stories about communities that stand up. We love stories about individuals who stay put. We love stories about individuals who are unafraid to move. We want stories about people who cannot help but conform. We want stories about people who refuse. Basically, we love art and literature that are not scared to show what cannot easily be traced with the naked eye. We invite you to send us your best work and look forward to sharing this new space with you. Submissions deadline is November 15, 2012. Submissions guidelines are here.